The Brazilian cachaça distillery Novo Fogo has announced their new sparkling caipirinha in a can. 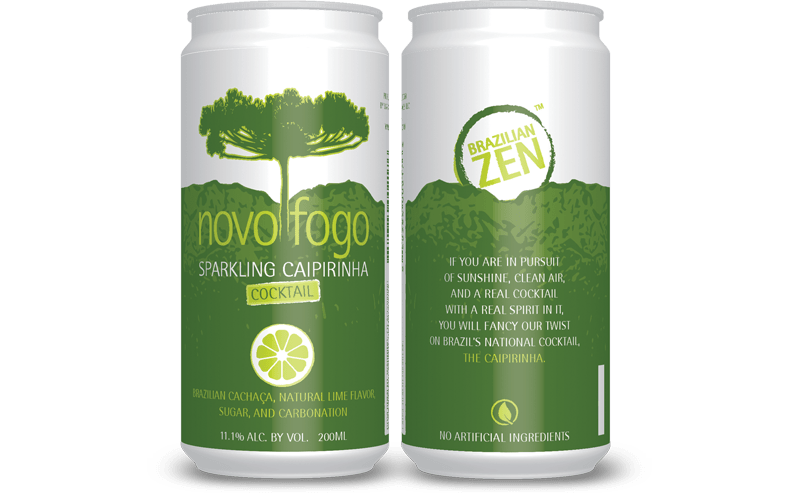 The Novo Fogo Sparkling Caipirinha combines freshness and shelf stability with all-natural ingredients for a balanced, carbonated cocktail, the company says. It can be served straight from the chilled can, over ice in a glass, and with or without a slice of lime. Novo Fogo’s distillery is at the edge of the Atlantic Rainforest in the southern Brazilian state of Paraná. Novo Fogo’s Silver Cachaça is rested in stainless steel tanks, “preserving the local terroir” in its flavor before becoming the Sparkling Caipirinha’s base spirit, the company says. The Sparkling Caipirinha in a can is available nationwide and online with a suggested retail price of $3.99 per can.